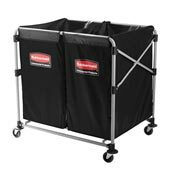 The Rubbermaid Quick Cart floor cart is the industry's most durable mobile cart for room service, housekeeping and maintenance. Choose the size of your Quick Cart cart and combine it with Rubbermaid's complete cleaning and garbage collection and garbage collection solution to provide your customers with a quality experience. 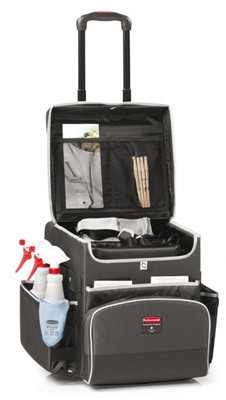 Ideal for room service (stays, blanket service, etc. ); halls, public toilets, maintenance, etc. Supplied with: 1 storage bin and 1 spare inner bin for quick cart.